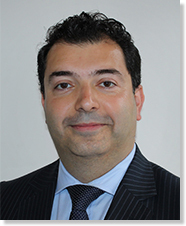 Samer Hamada, MD, is an ophthalmologist and cornea surgeon performing eye surgeries at his practice, the Eye Clinic London. With nearly two decades' experience, Mr. Hamada is recognised as a leading expert in the field of cataract, refractive lens exchange (RLE) and corneal surgeries, and is frequently asked to lecture at international eye conferences. He has performed thousands of cataract surgeries and RLE surgeries using the latest technological advancements in ophthalmology. Mr. Hamada offers laser cataract surgery with the option of artificial lenses, called intraocular lenses (IOLs), to replace the natural eye lens that has been clouded by a cataract. These IOLs are used for the restoration of near, intermediate and far vision. He is one of the very few eye surgeons who offer trifocal intraocular lens implants. Patients who prefer to be less dependent on glasses or contact lenses, even without a significant amount of clouding due to cataracts, could choose laser or non-laser RLE, both of which are very similar to cataract surgery.